Wanted to use some nice pastel colours (mostly Models Own) for my Easter theme last year. I also included my new Models Own speckled egg range. 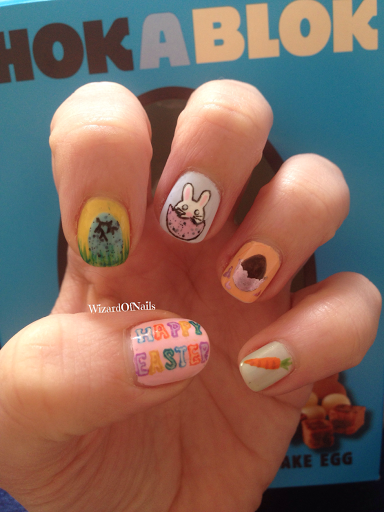 On my left hand I have Happy Easter, a cracked egg, a bunny in an egg, a chocolate egg in pink foil, and a carrot. 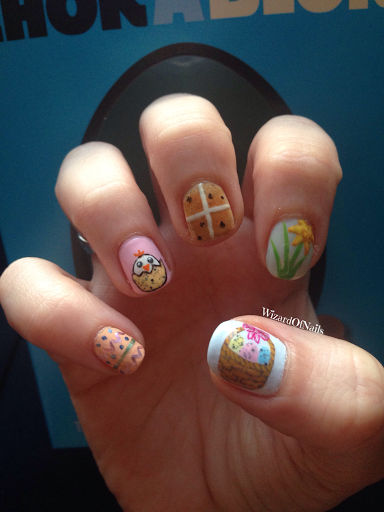 On my right hand I have an Easter egg pattern, a chick in an egg, a hot cross bun, a daffodil and a basket of eggs. Looking forward to all the tasty treats because that's what Easter is all about right?